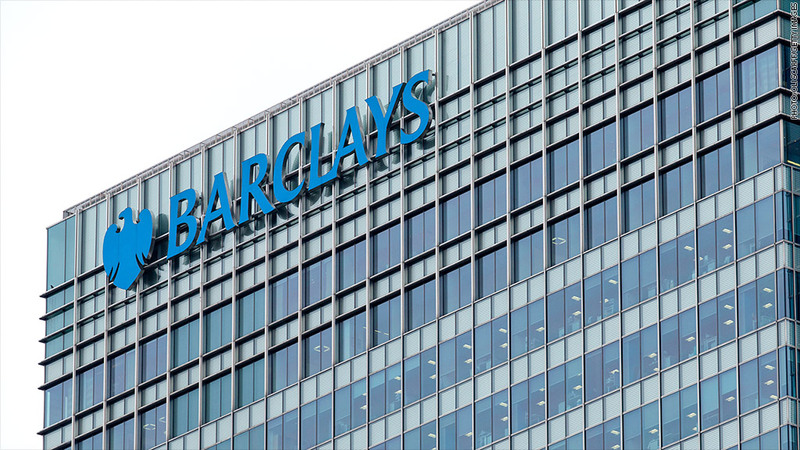 The New York Attorney General's office announced Wednesday that it is suing Barclays (BCS) over a lack of transparency in its "dark pools." The suit claims the British bank misled investors who traded in their off-exchange venues. The bank not only failed to warn clients about the high frequency trading firms operating in its pools, but it "actively sought to attract them," according to the charges. "The facts alleged in our complaint show that Barclays demonstrated a disturbing disregard for its investors in a systematic pattern of fraud and deceit," Attorney General Eric Schneiderman said in a statement. The New York Attorney General's office has been actively pursuing high-frequency trading. It subpoenaed six different companies in April to get information about their trading activities, and Schneiderman penned an op-ed decrying the practice. Barclays said in a statement that it "has been cooperating with the New York Attorney General" and federal regulators and is doing its own internal investigation. "We take these allegations very seriously," said spokesman Mark Lane. "The integrity of the markets is a top priority of Barclays." The latest lawsuit alleges that Barclays told investors in its marketing materials that it would keep an eye out for high frequency traders. Instead, it allowed them to operate within its dark pools relatively unchecked. Additionally, Schneiderman's office said that Barclays lied to investors about not favoring its own venue when routing client orders. Barclays had the second-highest volume of shares traded in dark pools in the week ending June 2, according to industry group FINRA. Schneiderman's office is seeking damages to be paid to investors. Dark pools got their name because orders routed through them aren't listed on public exchanges until the order is done, so the public is kept in the dark about the trades. Institutional investors such as mutual funds, hedge funds and pensions like them because it's less likely that parts of their large orders will get picked off before they're fully executed. If a high frequency trading firm sees the order ahead of time, it could potentially jump in and buy a stock before the mutual fund, raising the costs to the mutual fund. "Barclays' dark pool was full of predators -- there at Barclays' invitation," the statement said.